We’re wild about our animals! 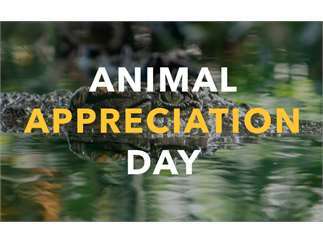 Help us celebrate some of our favorite Zoo friends and their wild counterparts by joining us for Animal Appreciation Days! Explore all the things that make our animals unique, learn about their threats in the wild, and learn what the Zoo and our partners are doing to protect these species.